How to encourage students to learn about campus fire safety. Speaking to students in simple terms, in their own language, will decrease the likelihood of them tuning out any valuable or important information that is described to them. It’s imperative to get the most important messages out to them via social media. Students are attached to the internet and hold social media as a high priority. By alerting students of an emergency situation via text or Facebook, Snapchat, Twitter or Instagram students are more likely to pay attention and take the information sincerely. Not to mention, they will likely share any information with their followers, allowing other students to also obtain any important emergency information. A huge part of the residence life department is to ensure and educate students on how to stay safe on campus. 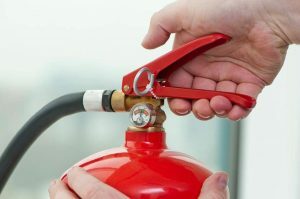 Besides the general room checks where someone is found lighting a candle, there are a number of ways other departments can collaborate to spread information about fire safety. As the only group that is best at obtaining and really paying attention to information on safety, especially fire safety, freshman are simply trying to learn all they can about this new environment that they have landed in. By speaking at freshman orientation, giving out free information via social media, or email, fire safety information is most likely to be consumed by freshman as compared to other students. Everyone benefits from learning a new skill. This includes students as well as faculty members. By establishing life saving skills, students and faculty come away with newfound knowledge and a greater appreciation for various fire hazards that they may not have known about before. This entry was posted on Thursday, January 19th, 2017 at 4:37 pm. Both comments and pings are currently closed.